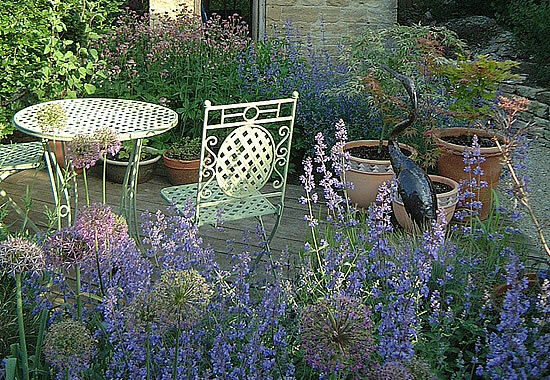 As a garden should be a meeting of plants and people, so the partnership between myself as designer and you, my client, should be one of genuine co-operation and trust. I work in such a way as to involve all of the people who are going to use and enjoy the garden. If you have children, I will involve them in the process, and make it fun. Key to the success of this partnership is communication. By listening carefully to your ideas, needs and wishes, I can then apply my knowledge and expertise to create a garden that meets every last one of your expectations – and more.